As usual, all PlayStation Network services will be unavailable during the maintenance window, and may extend beyond the initial 2 hours stated to allow for additional testing. 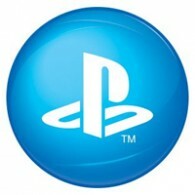 We strive to ensure that PlayStation™Network services are available at all times, but occasionally we must take PlayStation™Network offline to perform essential maintenance and implement feature enhancements. We are working hard to reduce the duration of each maintenance.